We were very content to spend the last few days with good friends, Kent and Pam. 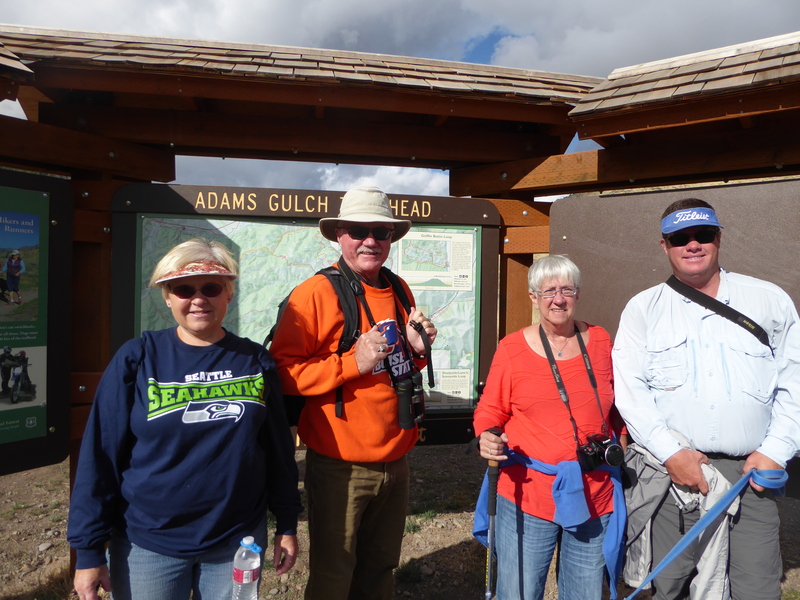 We have traveled with them for many years and knew when we left Boise that they, who travel a lot anyway, would be willing and able to meet us occasionally along our way. 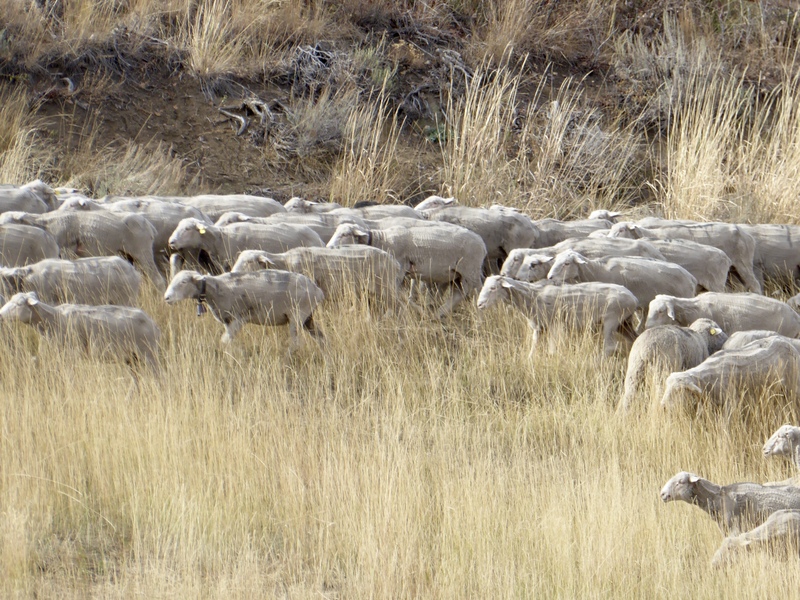 In the last year they have caught up with us in Delta Utah, Pahrump Nevada and now Logan Utah. 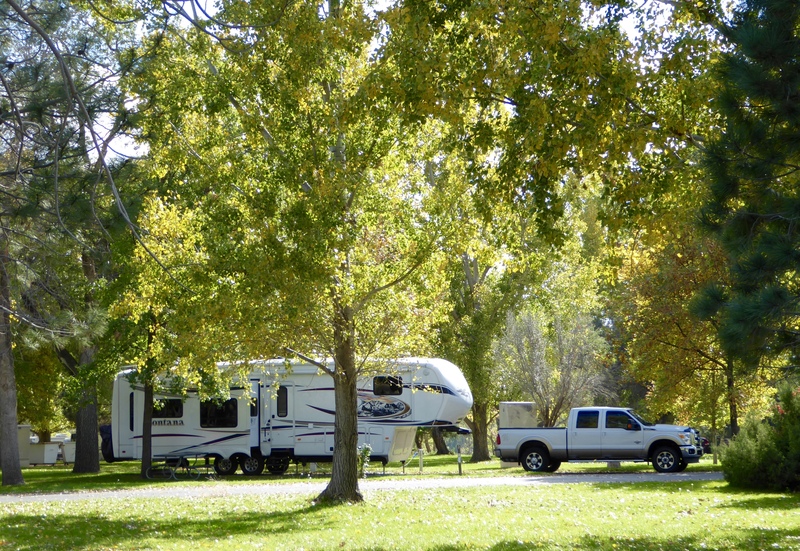 The reason to meet in Logan, Utah? 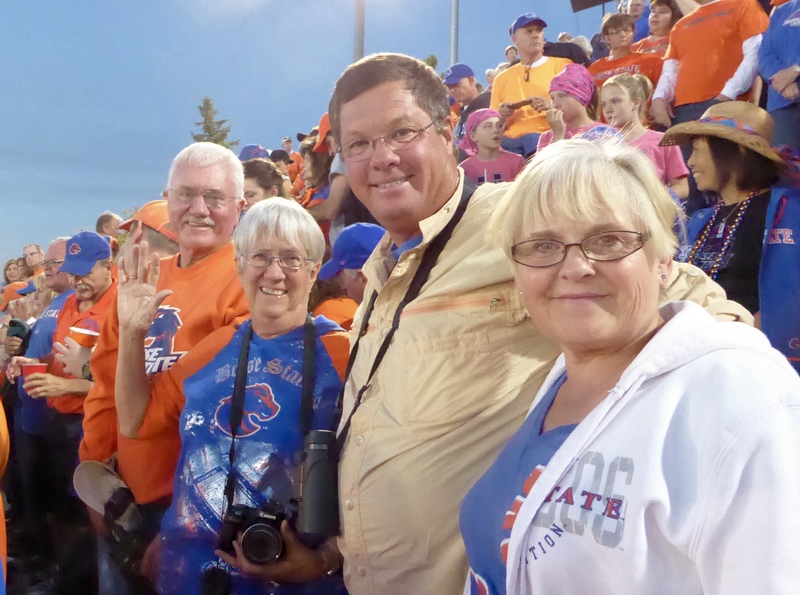 For the Boise State – Utah State Football game. 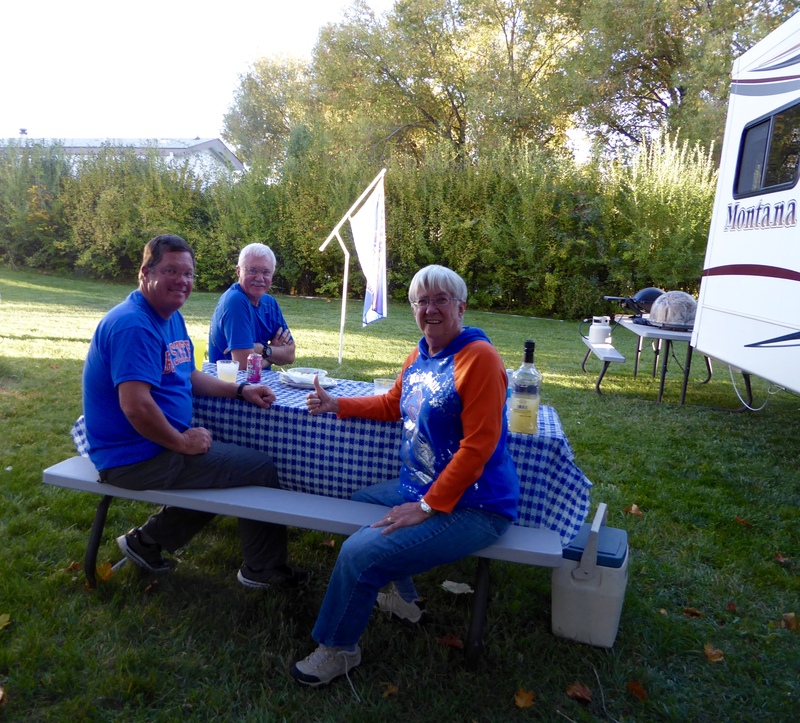 We’ve done this trip to Logan for football games before and it felt like old times – until the game was actually played….. Unfortunately the game was a disaster for Boise State, something we don’t usually have to deal with. The Utah State coach said winning this game was the biggest win in school history – good for them. The next day we left Logan and mixed up the driving pairings heading north. Pam and I watched our trailer from behind as we came back into Idaho. Pam is usually a speed demon but she did well slowing down to Randy’s trailer pace. 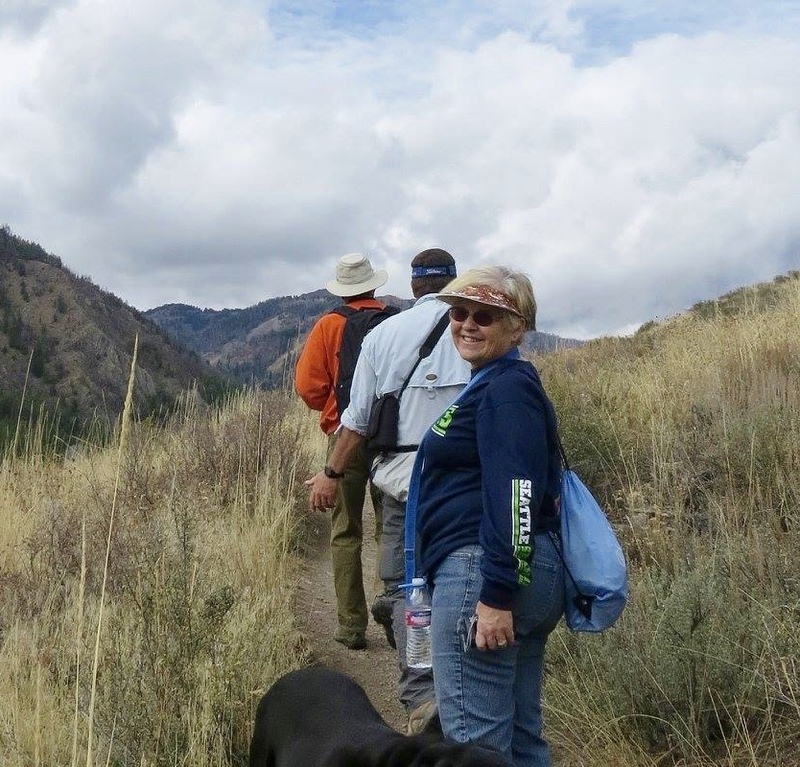 We headed to Ketchum – or Sun Valley for those of you who aren’t from Idaho. When the four of us were in Ketchum last (summer of 2013), they were experiencing terrible fires. 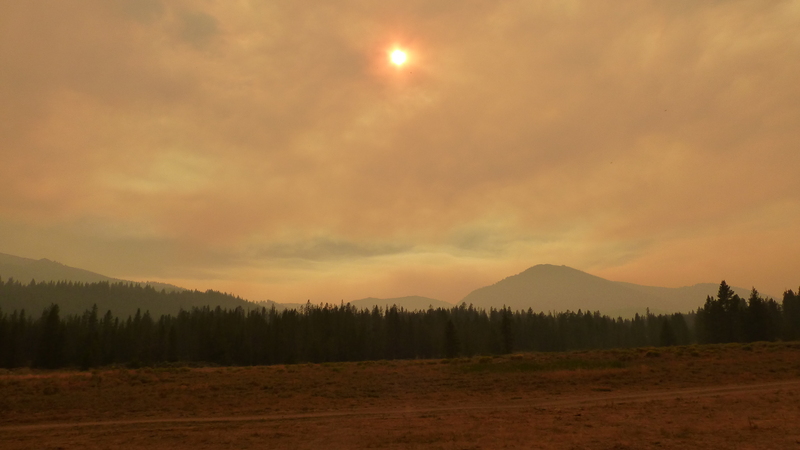 Dense smoke from nearby fires in 2013! 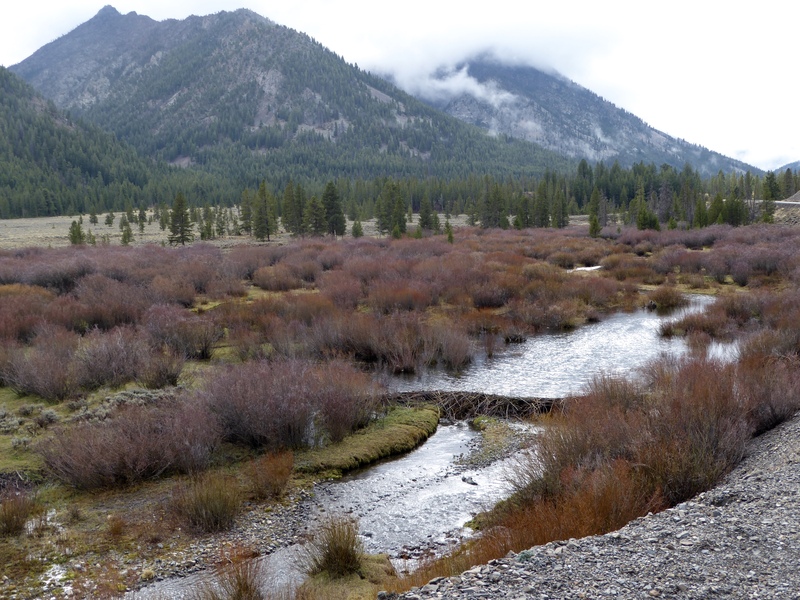 We enjoyed a walk along Adam’s Gulch and fire scars are visible but the forest’s recovery will come. 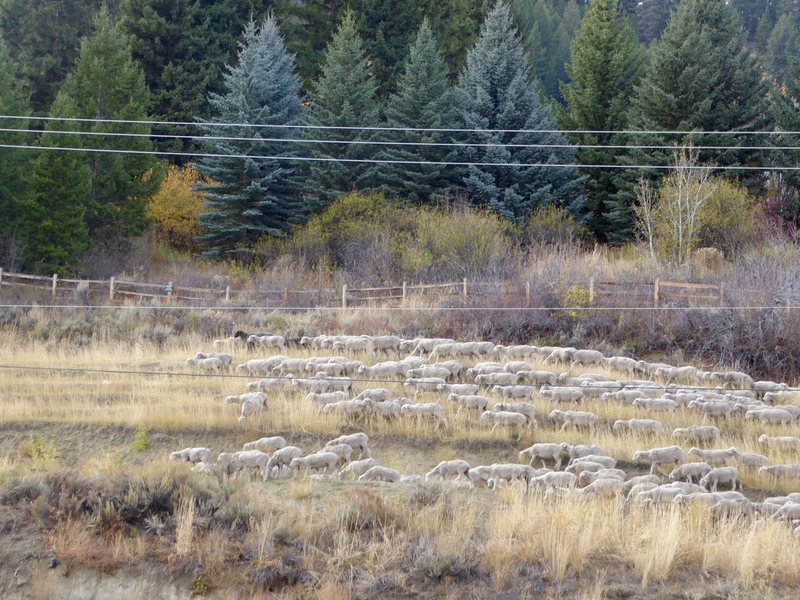 As we came back to our RV park, we saw these recently sheared sheep being driven along the highway. There were a couple of men on horseback, a couple of men walking and 4-5 dogs that were doing most of the work. It was fun to watch. 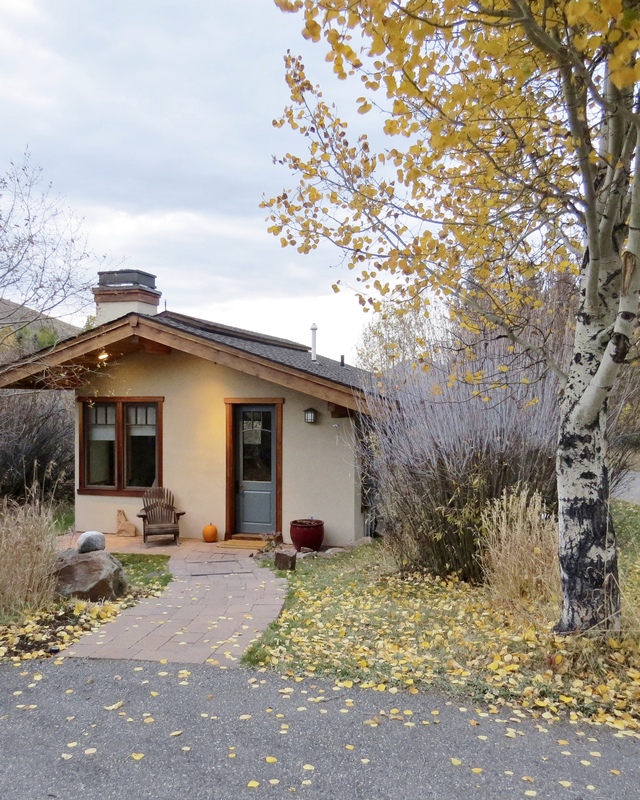 Kent and Pam stayed in a cute guest house they rented on one of the many $2-million ish properties in the area. It was tucked way back from the highway and it was a beautiful drive back into their place. It was very comfortable to wander around past haunts and eat in some familiar restaurants. The next day was rainy and we opted for a drive up into the mountains. 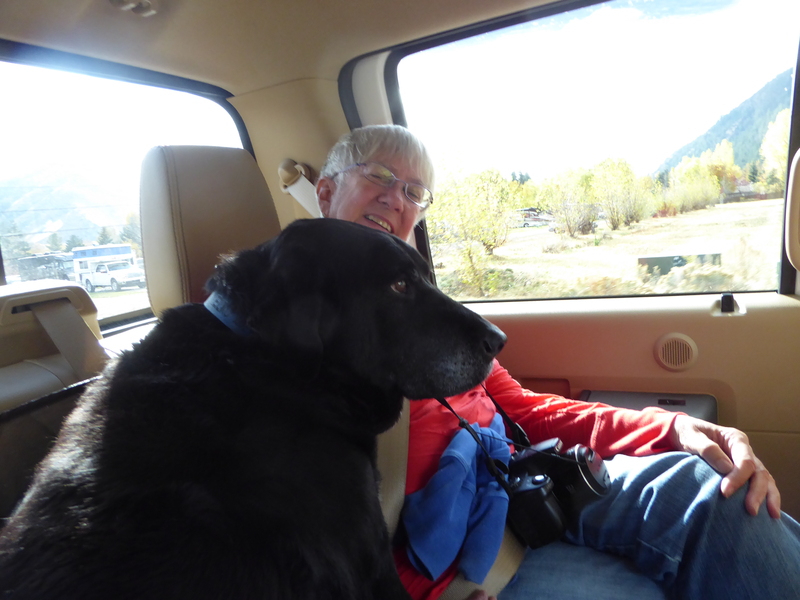 Elko had to share his usually spacious backseat with Pam and me. He tolerated it pretty well as it was better than staying home! Along the way we saw a few deer, lots of hunters, and a beaver dam. 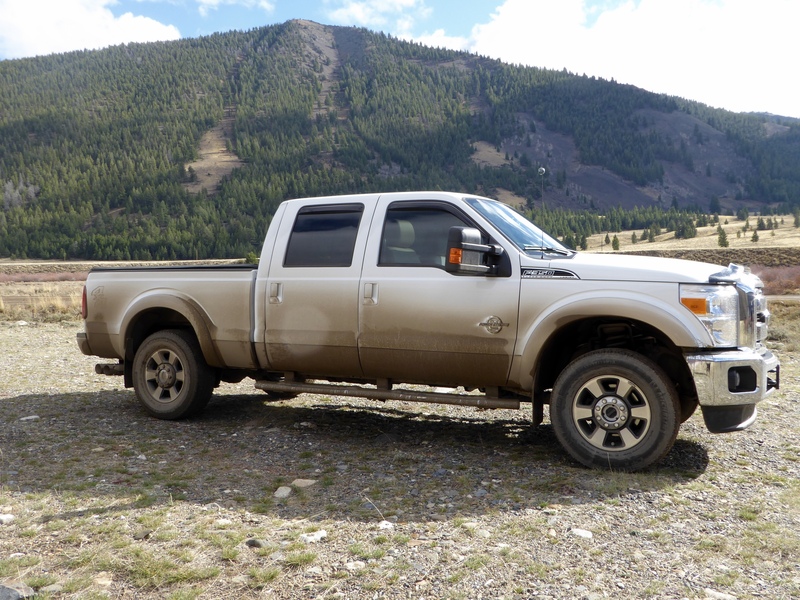 Our truck ended up being the dirtiest it has ever been but between the rain and a little effort on Randy’s part when we got back – it got back into normal form. After enjoying our time with Kent and Pam, we separated today. 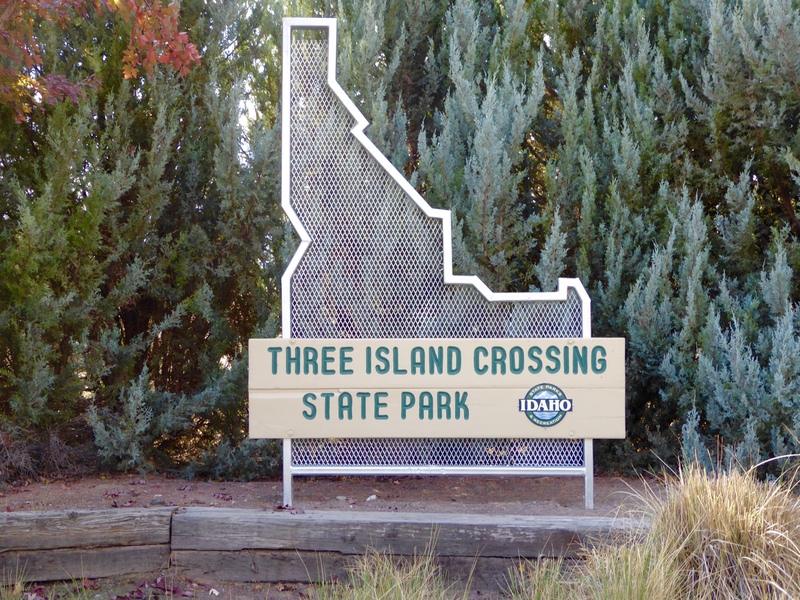 They headed back to Boise and we stopped along the way at one of our favorite, and most frequently visited southern Idaho State Parks – Three Island Crossing. 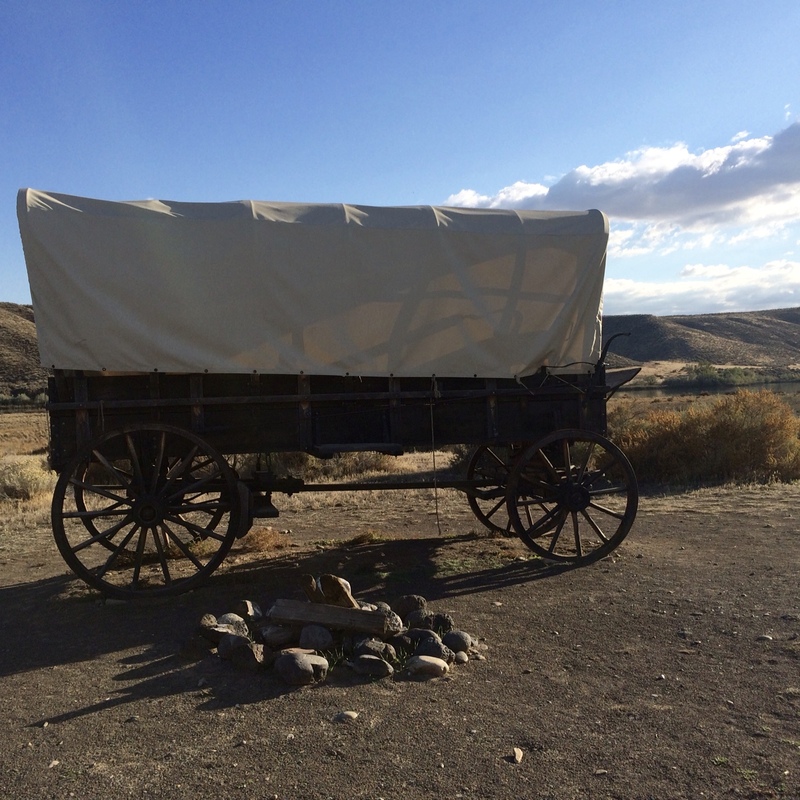 Three Island Crossing was one place Oregon Trail emigrants crossed the Snake River. Although we have been here MANY times it just seemed perfectly nostalgic to stop one more time for a beautiful fall visit on our way back to Boise on Thursday. As we said, familiarity breeds contentment! Enjoyed reading about your recent adventures. What a treat to get to some BSU away games too. 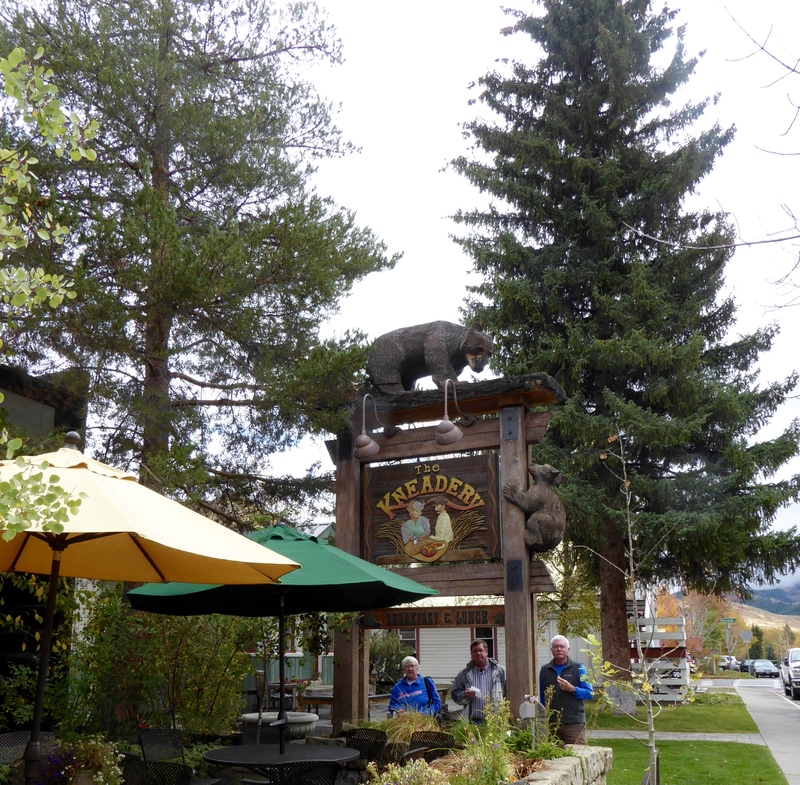 The Kneadery in Ketchum is one of our faves too! Yes, we’ve enjoyed keeping up with the team even from the road. We’ll see the next two home games and then likely go to whatever bowl game they are in. December is completely open in anticipation of that destination. Thanks for the comment – It is nice to know people are reading and enjoying the blog!